New developer builds of the operating systems are available to download from the Apple Developer Center, or for devices already enrolled into the testing program, via an over-the-air update. The public beta versions are usually released within a few days of their developer counterparts. The eleventh developer beta for iOS 12 is build number 16A5365b, up from the tenth build which was 16A5364a. Apple has recently started to release developer builds on a more frequent basis, with the latest versions being pushed for testing within a few days of the last one, a rate that is likely to continue until near to the time the final release candidate is ready. 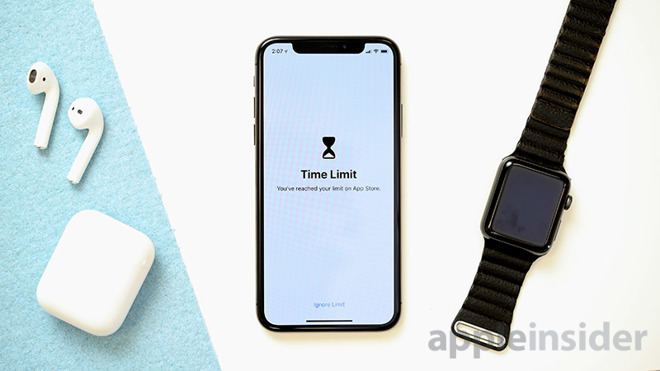 The release of iOS 12 will be helpful to users of older iPhones and iPads, as Apple claims there to be performance improvements with these devices in mind, as well as newer hardware. The iPad also gains extra gestures and notification grouping features, borrowed from the iPhone X. The focus on "digital health" brings with it a new Screen Time function, designed to help users keep tabs on their app usage. To help reduce a user's dependency on games and social media when they feel they should be productive, it is also possible for users to restrict their own access to such apps on a temporary basis. New updates of stock Apple apps including News, Weather, Stocks, and Voice Memos are also part of the update, as well as a new ARKit-based "Measure" app. Third-party map support in CarPlay, MeMoji, and Siri Shortcuts are also included, but while testing continues for Group FaceTime, Apple warns it won't be available at the time of launch. The ninth beta of macOS Mojave has build number 18A377a, whereas the eighth had build number 18A371a. Productivity is a major focus in macOS Mojave, with Stacks moving from the dock to the desktop itself, allowing for files to be automatically grouped into piles by type. The Finder gains a Gallery view that shows media and metadata, along with links for contextual quick actions that can be used to perform predefined changes to files. Quick Look adds access to Markup functions without having to leave the menu, including options to trim videos without using a separate editor. The screenshot HUD has simplified taking images and video of the Mac desktop, while simultaneously reportedly lowering the load on the processor for the task. Continuity Camera function allows users to employ the camera from an iPhone or iPad to insert a photograph directly into a macOS app. The photo automatically transfers to the macOS app without the user needing to manually send the image file across from their iOS device. Part of an ongoing project by Apple to bring iOS apps to macOS, Apple's first trial of the technology involves a bunch of its own apps transitioning over. News, Stocks, and Voice Memos are ported from iOS to macOS, along with the Home app, allowing users to manage their HomeKit network from their Mac. The Mac App Store has been given an update that borrows elements from the iOS App Store, including video previews of apps. Updates for machine learning technologies Create ML and Core ML2 are included, and finally, an often-requested Dark Mode UI for the operating system. The tvOS 12 developer beta is on its ninth build, bearing number 16J5360a. The previous eighth beta was build 16J5355a. Cross-device Autofill can allow users to sign into tvOS apps using the same credentials as they used for iOS apps, reducing the need to enter them a second time. For some cable services, Single Sign-On will become Zero Sign-On, with the Apple TV automatically enabling channel apps after detecting what provider's network is being used, and the user's subscribed channel package. Update: Public beta versions of the latest iOS and tvOS releases are also available.